Your new home in Almeria awaits you. Easily find the house you're looking for. We offer you a wide variety of real estates to buy or rent, according to your needs. In addition, we provide all the necessary services for the paperwork. Hi! Do you need a home? Everything around us changes, moves. Everything advances. Like you. From floor to house, triplex, villa... from the outskirts to the centre or from the centre to the outskirts... small premises, big premises, industrial premises... At each moment you need a different space. At Inmobiliaria Marcovi we have the moments, we have the spaces. And all this with the security and confidence of the support of a great company, leader in the sector, that consists of a group of companies mainly oriented to the real estate market. We will take care of all legal matters for your complete peace of mind. A specialised team will ensure that the client's tax liability is optimised and will address all your doubts. We facilitate all your operations making the appropriate arrangements at all times. We help you to obtain the necessary financing for the investment. Your new home at a special price. 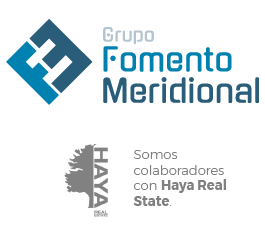 Your real estate reference in Almeria.